The Palm Beach County Sheriff’s Office is seeking the public’s assistance identifying two armed robbery suspects. Unknown armed males approached a victim, walking in the 300 block of S. Main Street, Belle Glade and forcibly took his personal property. Suspect 1, is described as a black male, approximately 5’06” – 5’10”, wearing a blue hooded sweatshirt. 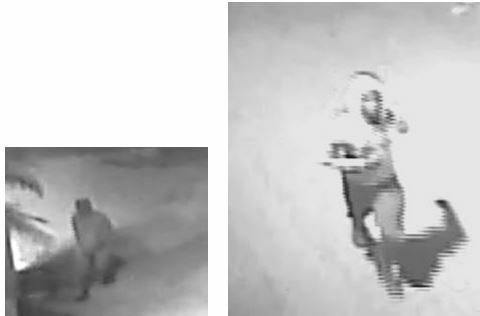 Suspect 2, is described as a black male, approximately 5’07” – 5’10”, wearing brown & white jacket. This incident occurred on March 21, 2018, at 8:21 pm. ← The Palm Beach County Sheriff’s Office needs the public’s assistance identifying a suspect using counterfeit money.